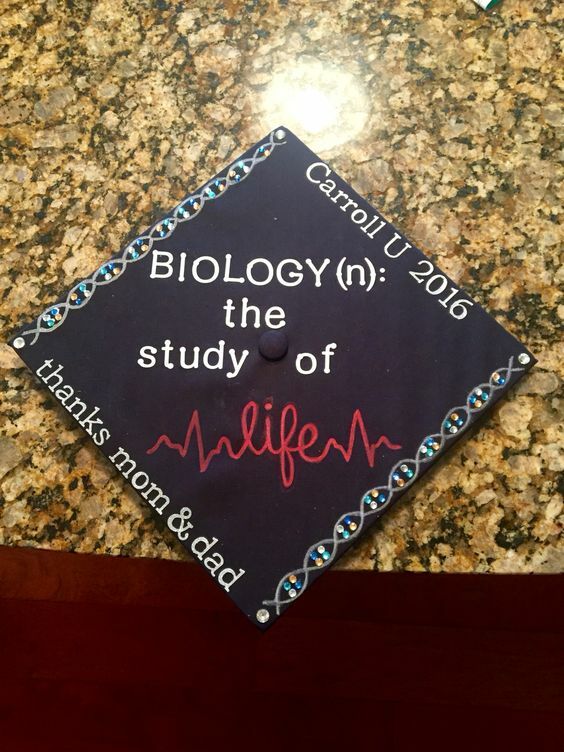 Biology Major Graduation Cap Decorations - For Students of Biology! 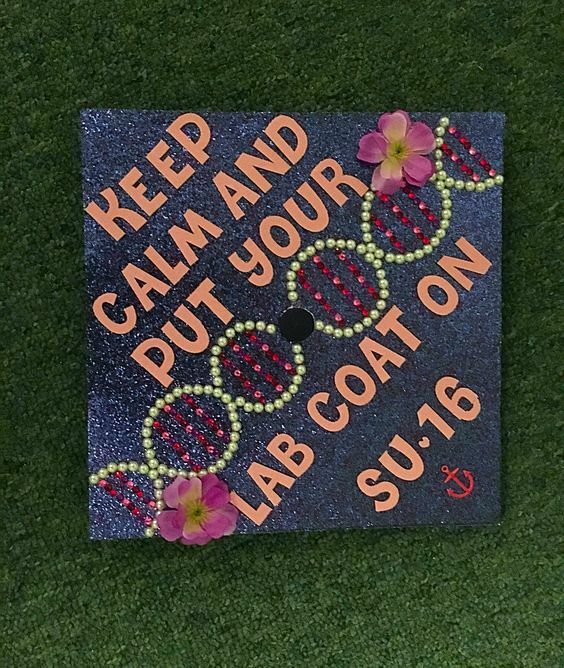 Biology major graduation cap decorations – for you discerning scientists, here’s a list of bio major grad caps for your perusing and inspiration. If you have committed most of your life studying biology, you are making a mark on the world. The medical community is advancing at a healthy pace, and employment is high. You have nothing to fear! 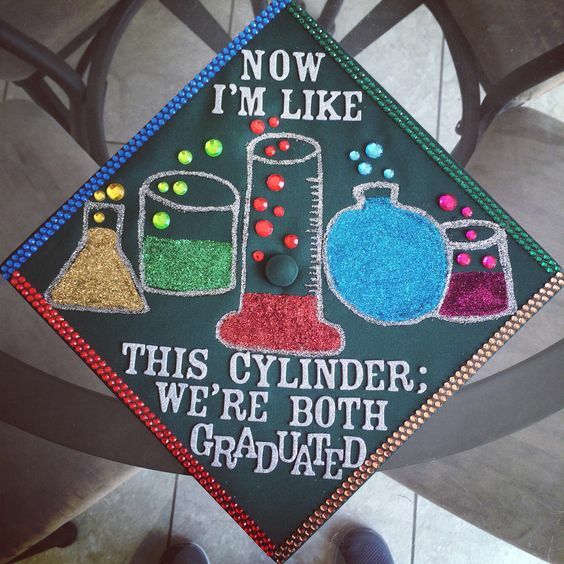 Decorate your graduation cap to stand out in the crowd on graduation day. 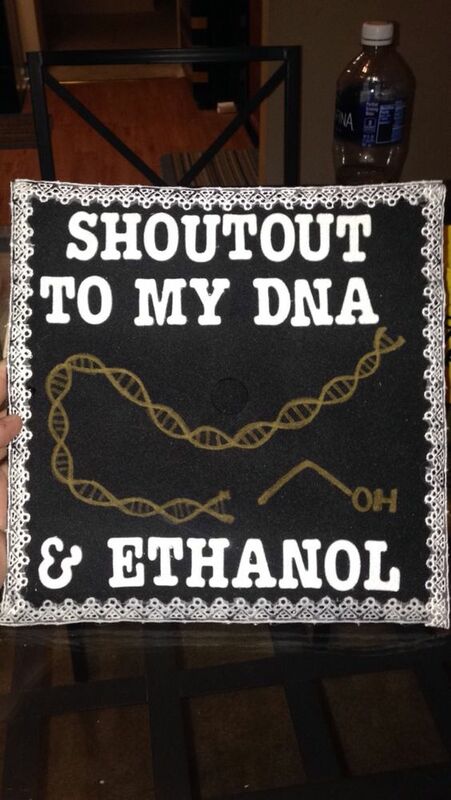 The list of biology major graduation cap starts here! 1: This is an inside joke for biology majors only. Do not attempt to be humored by this if you aren’t a bio major. 2: Bacillus Cereus is a common bacteria, if you needed to know that. 3: How about some beakers full of fluid? Heaven knows you’ve spent enough time around them in lab to be comfortable! 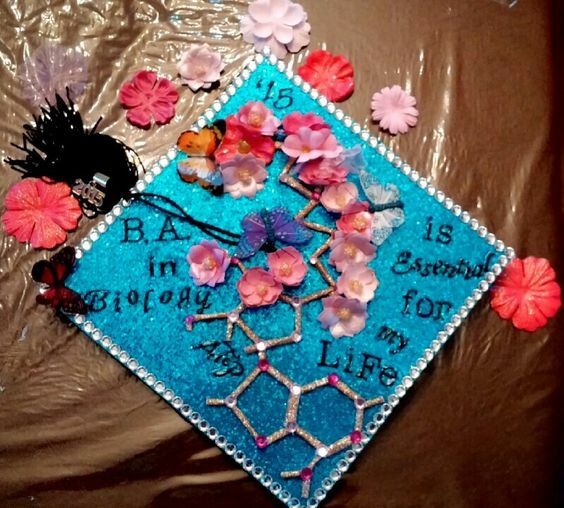 4: This biology major graduation cap is stunning. The DNA pattern on a black shimmering background looks great! 5: Another nucleic acid strain is found as an outline in this very neat example. 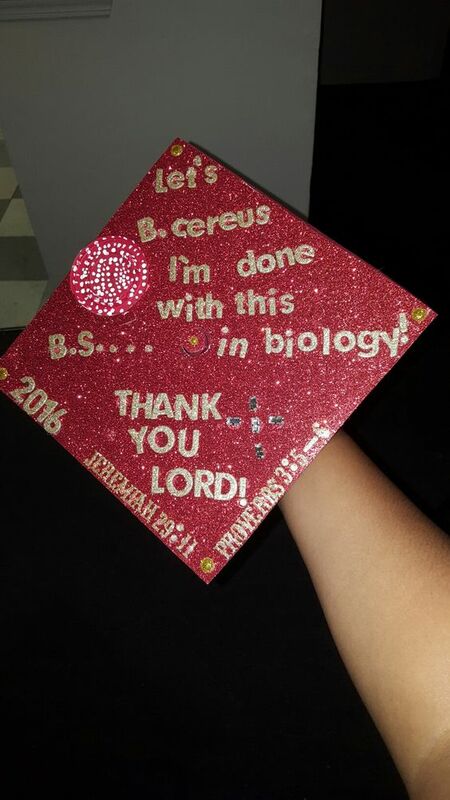 6: A marine biologist’s graduation cap design, because marine biology is still biology, right? 7: This is a simple and beautiful cap. For the most exciting day of your life, the light blue is quite calming. 8: Who knew Caribbean ocean blue and elemental structure looked so good together? Topped off with flowers, you have a winner. 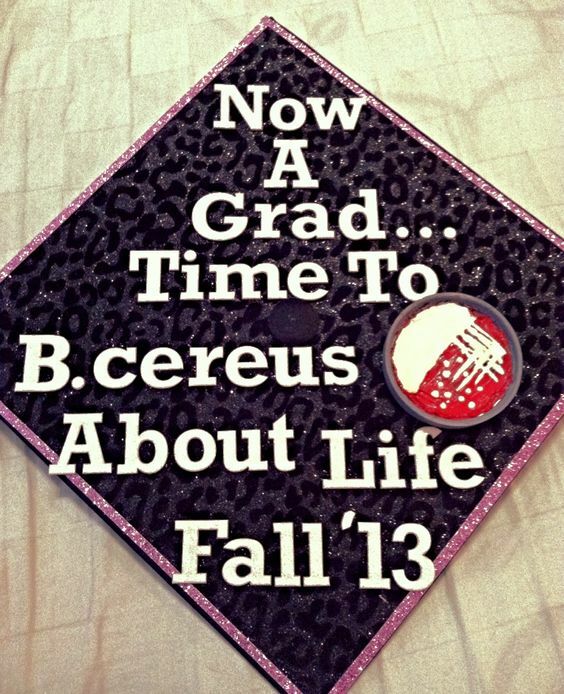 9: Make sure you leave enough room for letters – this graduate had to improvise slightly. 10: One more B. Cereus for the road. The red shiny background looks great in photos! 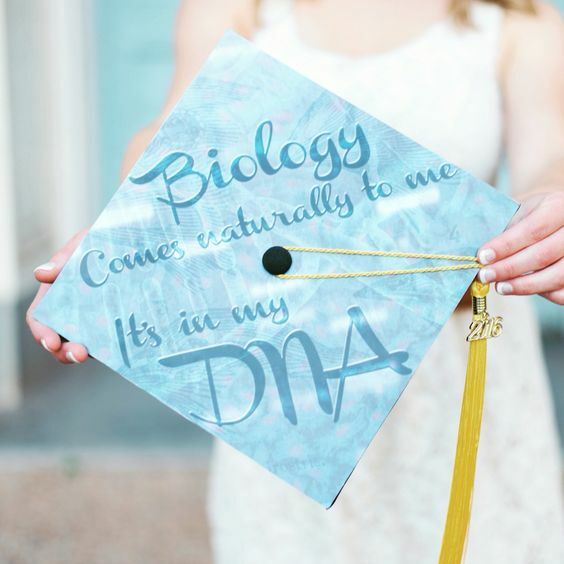 We hope these designs help all the biology majors out there. 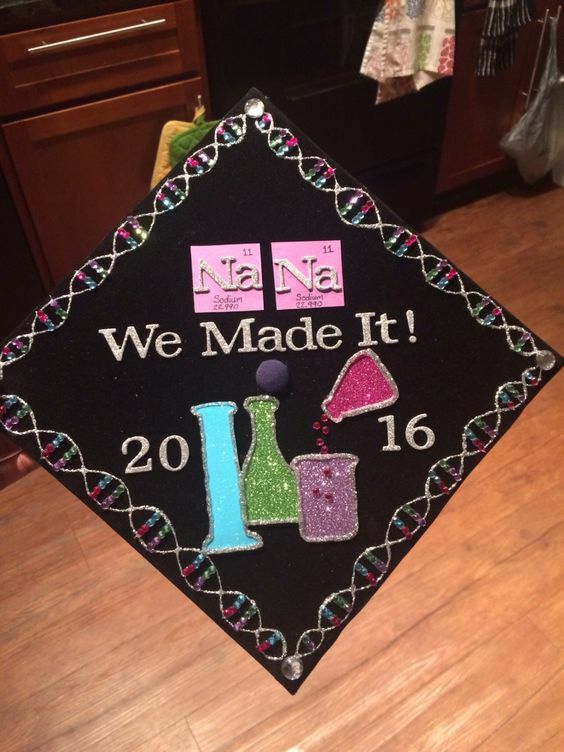 Keep these ideas in mind when decorating your own cap, but remember, be inventive! 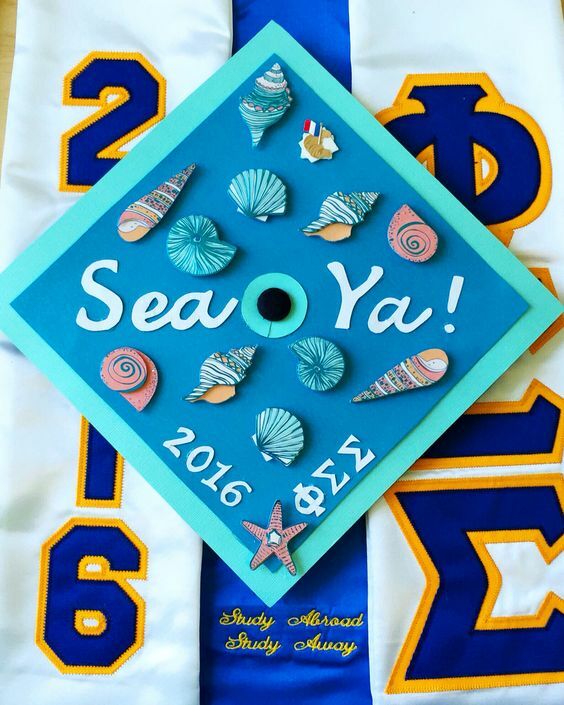 Add a personal flair all your own for the best graduation cap.